Our tour to Salzkammergut starts with a trip from Vienna to Gmunden, home of the beautiful Gmundner ceramics. 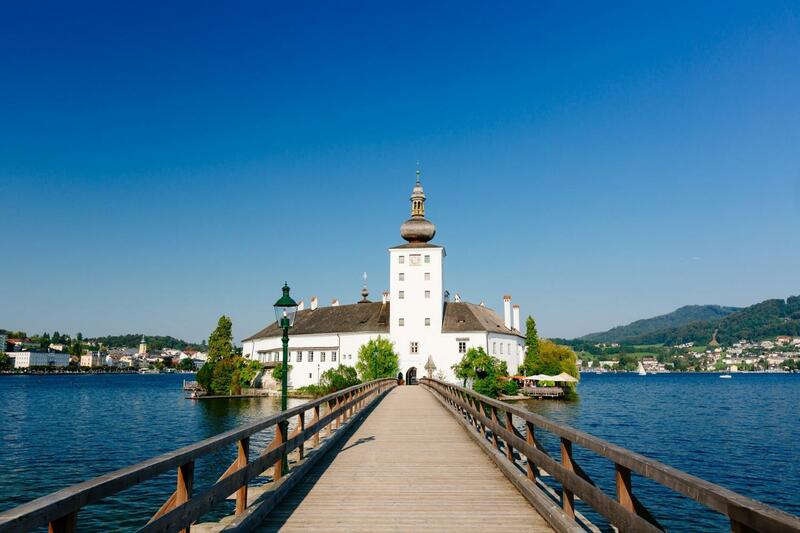 Here, our first highlight awaits us: Idyllic Orth castle, located on a tiny island in the Traunsee lake. Our short stop provides an excellent opportunity to take pictures of the beautiful castle and the impressive mountain ranges that surround it. 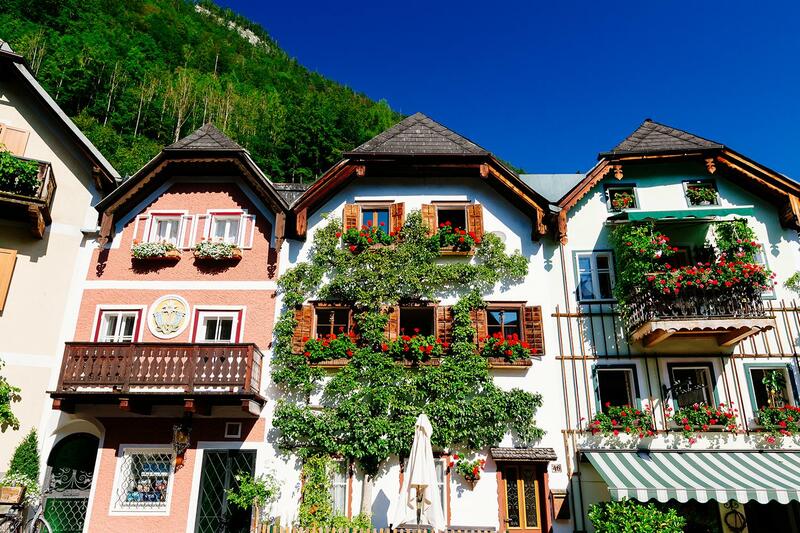 We travel onward to Hallstatt, a historic town that has been photographed a million times – and even replicated. Nestled between the lake and the mountainside, the town will charm you with its narrow lanes and unique wooden buildings. 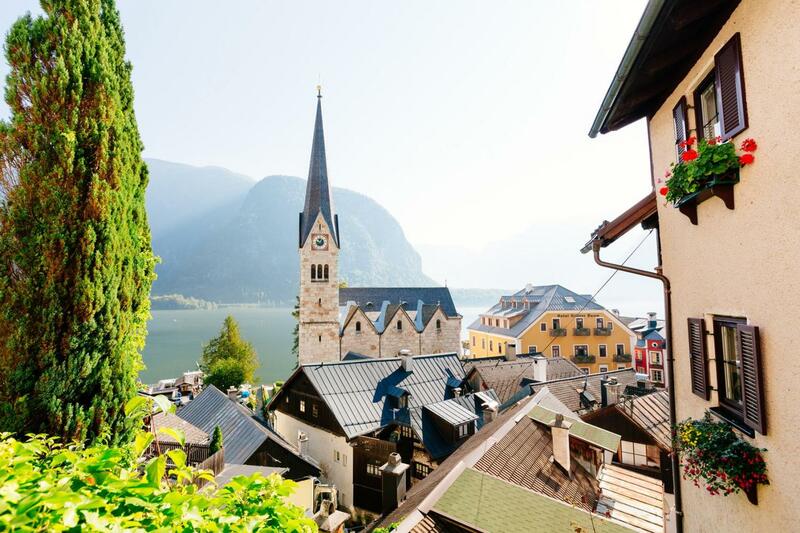 On a city walk, you will learn about the 7000-year history of Hallstatt, the mighty salt caves that were the foundation of the region’s wealth, and the tragedies it has seen. One of the highlights of our Hallstatt tour is, without doubt, the ossuary, where hand-painted skulls recall a nearly forgotten tradition. 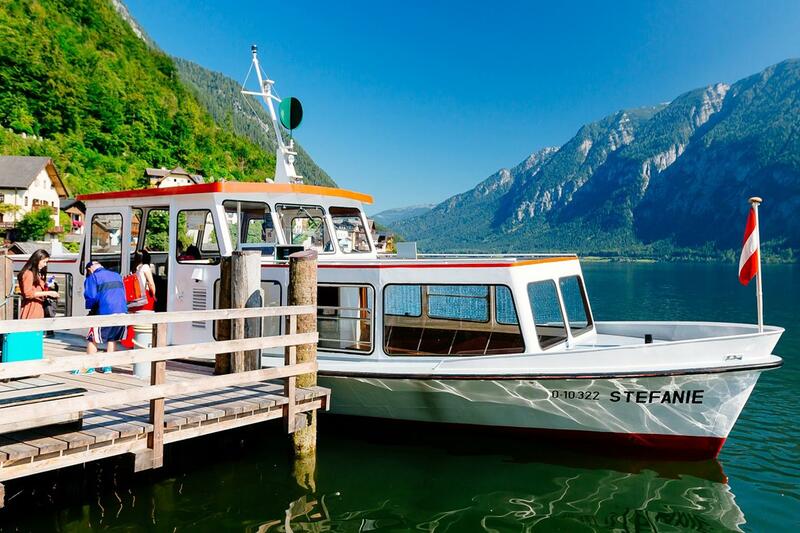 A 20 minutes boat tour will give you a wonderful view of Hallstatt from the lake, after which you have some free time for lunch or some more sightseeing. We meet again at the Salzbergbahn, the funicular that will take us up to the “Skywalk” viewing platform, from where we have a breathtaking view of Hallstatt and the lake from above. 88 % of reviewers liked this tour. Ewol the tour guide was very helpful, kept reminding us to not hesitate to ask him questions if need be. He is very knowledgeable and has a humorous way of giving out information. Convienent, professional and fun! We loved our tour guide- charming, interesting and organized! Great day. I'd like to thank our charming tour guide Eva who really did a great job and kept the spirits high because it was a long day and ride from Vienna. Once in Hallstatt we took a cable wagon straight up hill the mountain to have a beautiful view towards the lake and surrounding mountains. Eva explaining everything and giving us all the details to be known. Around 9pm we arrived in Vienna. We were around 30 people in the bus and I think everybody was satisfied with the tour. The purchasing process was easy and transparent but the price for the quality received is very high. It was all so easy!! The guide and tour were great! A must for nature lovers.Amazing stops.Very punctual. A very rushy tour. Not recommended if you like to enjoy slowly. En general bien pero no sé si la repetiría. 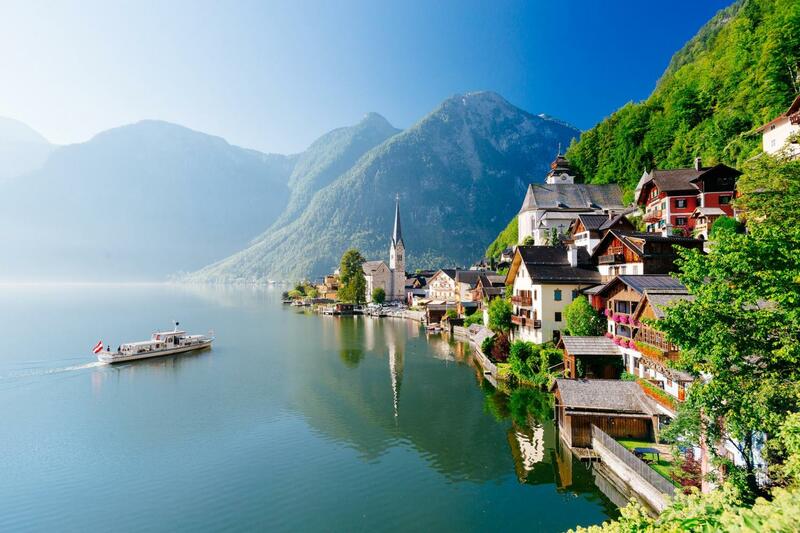 Hallstatt was a must for us, but being in Vienna, none of us wanted the hassle of renting and driving a car that far. Taking the tour bus was a great alternative. Driver was good and guide was knowledgeable and accommodating.